GM Nominee Bios – Pride Houston, Inc.
Our Grand Marshal nominees reflect the wide spectrum of our LGBTQIA+ and ally community. Learn more about them by reading their biographies below. When you are ready to vote, visit our ballot page. Shannon has dedicated her life to the service of the LGBTQIA+ community. One of her passions has been to legally represent incarcerated and at-risk LGBTQ youth FOR FREE! She was recently elected Judge Harris County Criminal Court #4 as part of the historic “Houston 19”, a group of 19 African-American women who all won their judicial races in Harris County. Shannon’s election makes her the first elected open African American LGBTQIA+ judge in Harris County, and only the second in the state of Texas. Before her election, she was a partner at Baldwin Williams & Associates, PLLC. She has tried cases before a jury from traffic violations up to capital murder. She is also founding board member of the Truth Project Texas, Inc an organization that educates and mobilizes LGBTQ communities of color and their allies through social arts and promotes mental, emotional, and sexual health. She has been a fierce advocate and out and open member of the LGBTQ+ community. She has always been a major sponsor of LGBT events within the Houston community. Shannon is a sustaining member of the GLBT political caucus and has consistently donated beyond her membership. She is endorsed by the GLBT caucus and The Victory Fund. And of course she’s given countless numbers of hours of pro bono work and advice for members in the LGBT community. 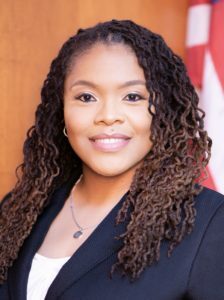 Shannon is an active member of several professional organizations and Delta Sigma Theta Sorority, Inc.
Shannon is married to her wife, Anita Williams and a foster mother to their 13-month old daughter. Houston Brunch), The Montrose Center, SEA Shell, Legacy Community (Board Member), Texas Pride Impact Fund (Board Member), the Gay Chamber of the 90s (Board Member). Over the last 40 years, she has contributed over $100,000 to many charities in the LGBTQ community and continues to support organizations across the nation. Even though she retired from Shell Oil Company after 39 years, she continues to stay involved and mentor the next generation of LGBTQ leaders within the community. Born in Mexico and raised in Houston as one of eight siblings to a single mother, Iris Rodriguez gives full credit to her mother Marie Dolores Belmont for giving her the passion and drive to live a life of service to others and her community. Living in a household of laughter, passion, hard work, and the persistent belief that all people are equal and deserving of respect. In the 1980’s, working as a bartender at the popular bar, Kindred Spirits, she spent most of that decade serving drinks to men and women in the LGBT community, helping build the fabric of today’s community. She was a witness for the bar raids, the first AIDS blood drive, and the LGBT political caucus events. 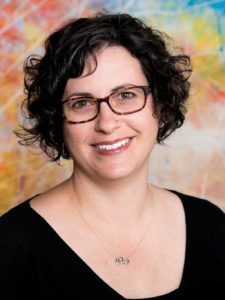 Serving on multiple committees and in a variety of functions helped her evolve into an active board member for over ten years of the Kindred Spirits Foundation, Inc. In 1991, she joined the United States Army Reserves where she currently holds the rank Sergeant Major. She graduated as an Honor Graduate with multiple awards for physical fitness. She has served honorably through multiple deployments and is a veteran of two wars and is responsible for creating and implementing a support group for LGBT-identifying soldier. This is the first group of its kind in US military history. She is currently assigned to the 412th Theater Engineer Command, Vicksburg, Mississippi. 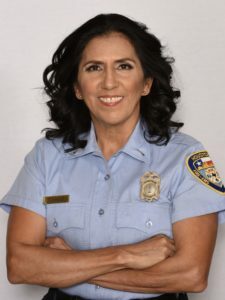 Iris was hired into the Houston Fire Department in 1993 as the first Hispanic female. She currently holds the rank of captain and is an EMT. In addition to being a lifesaver, she has served on the Public Relations Committee of the Houston Professional Firefighters Association L341, a volunteer with the Houston Police Department Explorer Program, and has been the past president of Camp Houston Fire, a youth outreach program that encourages young women to consider the fire service. She has served as the liaison for the fire department to the Pride Parade for several years, building ties for the LGBT community and public service. 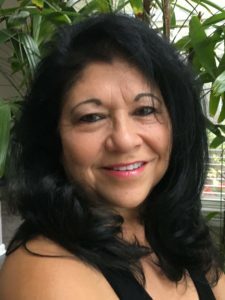 In the aftermath of Hurricane Harvey in August of 2017, Iris created the Texas Leaders Disaster Recovery Squad where she serves as the president and coordinator. The TLDRS, composed of members of the LGBT community, is a nonprofit that worked tirelessly assisting people whoses houses and property were damaged during the disaster. She was recognized at the American Music Awards for her work and dedication to the citizens of Houston. In the past she has served as director of the Houston Human Rights Day Festival, Veteran’s Advisory Committee for Neighborhood Centers, Inc., Human Rights Campaign volunteer, and was the vice-president of the Lesbian Health Initiative. She was the recipient of the “Hero of the Year” FACE Award in 2017 as well. She and her girlfriend Allison Ripley, an officer with HPD, enjoy supporting LGBT business owners, traveling, and visiting with friends. Overall, Jason passionately believes that underserved communities in America will progress to a more healthy and empowered state when we change our thought processes and social norms, and lend an educated and passionate voice to every community of people. Jason has accepted the challenge and is determined to pursue this calling in his life, one person and one community at a time. Harrison Guy first met the Houston Black LGBTQ community in 1994 and it was love at first site. This year he celebrates 25 years of being an out and proud Gay Black Man. He got his start in community activism while working at Donald R Watkins (DRW) an HIV/AIDs outreach organization that focused on testing and medical care for Black gay men. Since then he has served on community taskforces for St. Hope Foundation and Legacy Community Health Services. Both focused on HIV/AIDS advocacy. His community work has also included serving as Show Director of the Black Diamonds show cast which debuted at Bartini in Montrose and continued to he continued to host drag shows at the Historic Fitzgerald’s. Harrison has served on the DNC LGBT Advisory Board and is an inaugural member of Mayor Sylvester Turner’s LGBTQ Advisory Board where he is currently serving as Chair. He is a member of the NAACP and served as the LGBTQ Liaison for the Young Adult Committee. He has partnered with the University of Houston’s Graduate College of Social Work to host Black Like Us: An annual conversation on the Black LGBTQ experience. Harrison is a member of Delta Phi Upsilon Fraternity, Inc. The first Greek lettered fraternity for Black gay men founded in 1985. 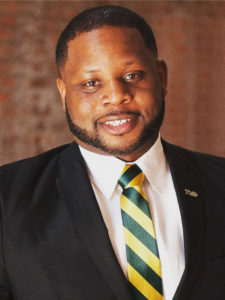 He has served as the local president of the Iota Chapter and has gone on to serve as the Southern Regional Director and National Vice President. Harrison is a member of the GLBT Political Caucus and he has served on the Diversity Committee for Pride Houston, Inc. This year Harrison has founded the Charles Law Community Archives which is a Black LGBTQ Houston History Project in collaboration with the African American Library at The Gregory School. This project is named in honor of Dr. Walter Charles Law, a Black gay man who was a major figure in Houston’s LGBTQ history. Harrison is married to his wonderful partner and friend Adrian Homer-Guy. Eric Edward Schell is the Founder and Sole Photographer of the National LGBTQIA+ visibility campaign, Pride Portraits. The campaign has cultivated relationships with 4,000 participants across the country providing visibility, representation and humanization for the LGBTQIA+ community and our allies, most importantly always representing Houston where the campaign is headquartered. 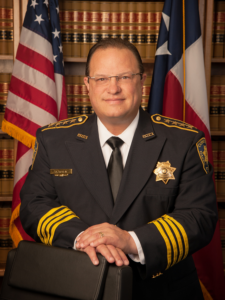 In addition to being the President of the Board with, Pride Portraits he sits on the Board of Directors for the Transgender Education Network of Texas. He previously sat on the board of Montrose Grace Place. His work as an activist and with Pride Portraits has included partnerships with the following entities and organizations. Facebook, Human Rights Campaign, GLAAD, Equality Texas, NASA, FBI, SXSW, Chevron, Legacy Clinic, The Montrose Center, University of Houston, Gender Infinity, The Mahogany Project, Tout Suite, Houston Chronicle, GLSEN, ObjectRocket, Rackspace, TechBloc, Pride Houston Inc, Pride Center – San Antonio, RuPaul’s Drag Race, TransMilitary, Story Hole, PFLAG, Fringe Salon, Houston City Hall, Point 5cc, Austin Pride, AIDS Foundation Houston, Pride Superstar, #DearPride, Spectrum South, Victory Fund, Houston Police Department, ACLU of Texas, Rice University, HEB, Transgender Law Center, Planned Parenthood and many others. Julien Gomez is a Houston-native that has nothing but love for their city. They think that there’s more to Houston than the oil & gas industry and the constant “Do you ride your horse to school?” jokes. Julien discovered their passion for journalism during their sophomore year in high school, and hasn’t looked back since. They majored in public relations and journalism in college, and is thrilled to use those skills in the Veer Queer podcast, which aims to bring attention to issues, people, events, and everything in-between, pertaining to the Houston LGBTQ+ community. Additionally, they are the Communications & Marketing Specialist at the Montrose Center, in which they are the first non-binary person of color to hold this position in the Center’s history. If they had it their way though, they would find a way to become a professional napper. When they aren’t trying to tell you their feelings surrounding the LGBTQ+ community, they love to grab late-night coffee, practice their Spanish, and hang out with their dog Levi. Born and raised in Houston, Becca Keo-Meier is a queer and genderqueer Cambodian-American. They served on Houston’s inaugural LGBTQ Advisory Board and co-founded Gender Infinity, a local organization that brings together trans, non-binary, genderqueer, gender non-conforming, and expansive people of all ages, their families, and providers. 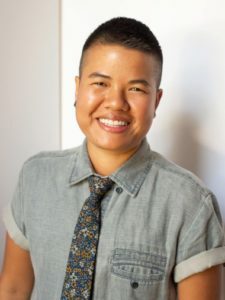 A descendant of Cambodian genocide survivors with family members who were targeted due to their education, Becca uses knowledge as a form of resistance to injustice and systems of oppression such as racism, classism, sexism, heterosexism, and binarism. They are currently a doctoral candidate at the University of Houston Graduate College of Social Work studying gender wellness broadly with a focus on genderqueer and non-binary experiences. Becca also works in the SUSTAIN Wellbeing COMPASS Coordinating Center on a team that collaborates with communities disproportionately burdened by HIV, community-based organizations, and service providers in efforts to better address mental health, trauma, substance misuse, and wellness in the context of HIV care in the Southern United States. They are proudly partnered with Colt Keo-Meier, an openly trans man, and together they happily co-parent their 4 fur babies – Rusty, Haley, Curry, and Phoenix. Mike Webb is a gender-queer socio-political activist born and raised in Houston, Texas and attended Reed College in Portland, Oregon, where Webb studied Political Science. Afterwards, Webb gained private sector experience through employment at a Washington, D.C. law firm but Webb could not resist the call to help change lives in underserved communities and enlisted in a year of service for the Houston Mayor’s Office of Education Initiatives under Mayor Annise Parker as an AmeriCorps VISTA. Recently, Webb joined the Community Engagement team for Harris County Commissioner Rodney Ellis, where Webb mobilizes our most underserved communities towards effective advocacy throughout Harris County, Precinct 1. Formerly, as Legislative & District Aide for State Senator Sylvia Garcia, Webb focused on LGBTQ and intergovernmental relations public policy areas. 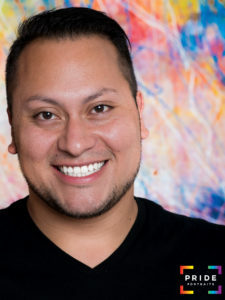 Prior to this, Webb was Prevention Supervisor for Legacy Community Health’s Public Health Services Department, Webb oversaw daily HIV and STD prevention and outreach activities for the center’s mPowerment program, a program focusing on empowering young gay and bisexual communities of color. 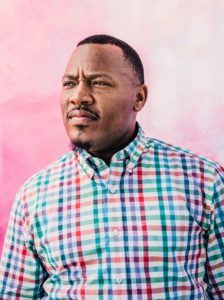 As an affirming HIV-positive Black queer person, Webb has made it their mission to spread the love and empowerment Webb experienced to Houston’s most underserved communities. Webb also serves as President of the Houston GLBT Political Caucus, Executive Board Member of New Leaders Council – Houston, serves on Mayor Turnr’s LGBTQ Advisory Board, Transform Houston Community Council, and focuses on political empowerment and advocacy through their fraternity, Delta Phi Upsilon as the Southern Region’s Director of Leadership Development and oversees all community development, volunteerism and programming of the Iota Chapter. 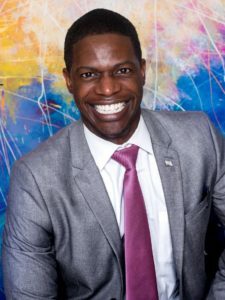 Webb’s community work has been recognized by the League of Women Voters of Houston Education Fund as a Rising Star Honoree, one of the National Black Justice Coalition’s 100 Black LGBTQ/SGL Emerging Leaders to Watch honoree along with Outsmart Magazine’s 2015 “9 Faces of Black LGBTQ Leadership in Houston” and most recently received the 2016 Community Empowerment Award by Young Black Voices. Ultimately, Webb strives to contribute to the production of responsible, educated citizens and leaders who can help foster communities based on equality, compassion, and service. For 28 years, Marian Luntz has served as curator of film and video at the Museum of Fine Arts, Houston. During that time, she has programmed and championed films that explore the LGBTQIA experience, and provide positive media portrayals of the queer community. In addition, she has championed the works of queer artists. In 1996, she was one of four women who co-founded the Houston Gay & Lesbian Festival, now known as Q-Fest. For twenty-two years, she has worked tirelessly to build audiences and awareness for Q-Fest which celebrates its 23rd edition from July 25-29. She has hosted gay artists, including icons like Hollywood actor Tab Hunter, the subject of the hit documentary Tab Hunter Confidential. She has also provided platforms for queer artists including Houstonian Jonathan Caouette, who introduced and lead an audience discussion at a screening of his acclaimed documentary Tarnation at MFAH, as well as Cheryl Dunye, Jenni Olson, and Carrie Hawks. Outside of Q-Fest, she consistently programs works of art examining the experience of the queer community as part of MFAH’s film program. She has screened both classics of queer cinema such as Word Is Out, the groundbreaking 1977 documentary examining the lives of 26 gay men and lesbians, as well as showcasing new films like They, which traces the experiences of a shy Chicago teenager using gender blockers as they navigate the embrace of their true gender identity, directed by the Iranian born female artist Anahita Ghazvinizadeh. This spring Marian will be programming films to complement the citywide initiative around Stonewall 50, organized by the Contemporary Arts Museum Houston. 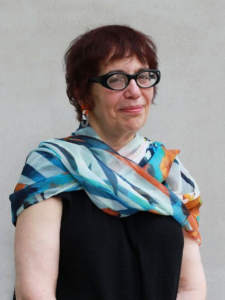 Marian Luntz has been recognized for her community involvement by Q-Fest, the Houston Film Critics Society, Houston Palestine Film Festival, Texas Southern University, and most recently was featured as a Pioneering Woman in Media. She has served on funding panels for the Houston Arts Alliance, Texas Commission on the Arts, Sundance Film Festival, and the National Endowment for the Arts. Erika Richie became an advocate for Transgender rights, specifically the rights of Transgender Youth, after her son discovered his true self in 2014. Soon after, she joined the PFLAG Houston board. She provided the board with the perspective that comes with being a parent of a Transgender child. After leaving the board, Erika has continued to provide support for family members who call the help line. 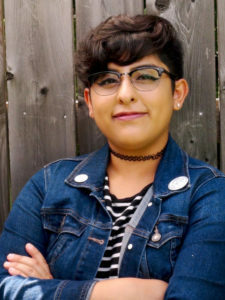 Since joining PFLAG Houston, Erika has become involved in many community events including campaigning for HERO (Houston Equal Rights Ordinance), and meeting with and educating elected officials. From 2016 to 2018, Erika was an inaugural member of Mayor Turner’s LGBTQ Advisory Board. In 2017, she joined the Board of Directors for Montrose Grace Place and became the Parent Coordinator for Gender Infinity. Earlier this year, Gender Infinity and Transgender Education Network of Texas (TENT) welcomed Erika to their Board of Directors. Continuing to educate herself on the rights and needs of the Transgender community, Erika has traveled the country attending conferences such as HRC’s Time to Thrive, Philadelphia Trans-Health Conference, Texas Transgender Non-discrimination Summit and Transgender Leadership Institute II. Full Bio at the Precinct Website.